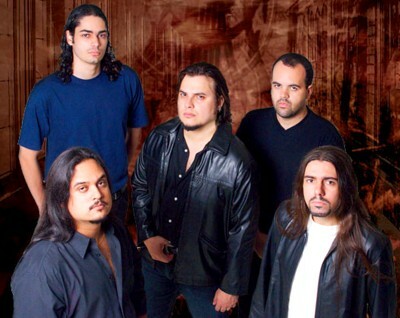 Progressive metal band from Rio de Janeiro, Brazil, consisting of Hugo Navia (vocals), fabbio Nunes (guitar), Nelson Megalhaes (guitars), Andre de Lemos (bass), Kiko Lealki (keyboards), Rene Shulte (drums). The band was created in 1997 as a trio of Fabio Nunes, handing lead vocals and guitar, bassist Cesar Severus, and drummer Mauro Fogaca. Later Will Vallante was included as a second guitarist and Nunes relinquished the lead vocal role over to form Velvet Green man Hugo Navia. Shortly after these additions though Severus decamped, forging the gothic metal band Poeticus Severus. 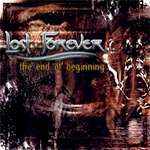 Finally in 1998 Lost Forever began to appear on the local live circuit and set about recording demos. However, internal disputes would split the band in two. The later regrouping included ex- No Fate guitarist Nelson Megalhaes, former Influence bass player Andre de Lemos and erstwhile Grimoire and Advena drummr Rene Shulte. However, both Shulte and Lealki decamped, while Jefferson Spinasse took on the keyboard position but was in turn soon substituted by Felipe Oliveira and in quick succession Daniel Melo. Lately lost Forever employed Yahn Wagner on the keys. In the year of 2002 they announced their forthcoming album, "The End Of Beginning", which was actually released in 2004.